Scenes from the campus of Middlebury College in west-central Vermont (photos by Robert J. O’Hara). 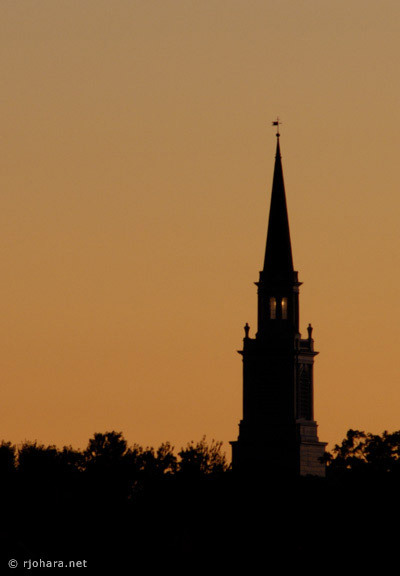 Founded in 1800, Middlebury is one of the leading liberal arts colleges in the United States. Located in the Champlain Valley in the small town of Middlebury, Vermont, it is home to more than 2200 students from across the country and around the world. Middlebury is the first liberal arts college in the United States to establish a system of smaller residential colleges, here called Commons, within itself. For more information about this decentralized collegiate arrangement please visit my website The Collegiate Way: Residential Colleges and Higher Education Reform. 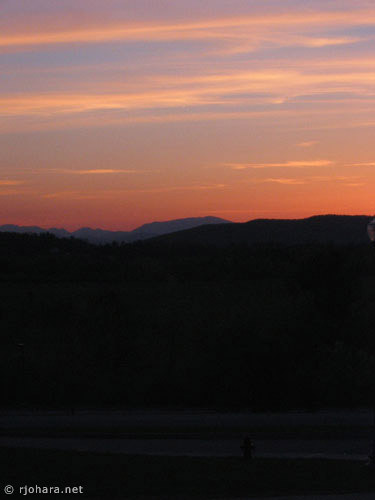 Sunset over the Adirondack Mountains of New York as seen from McCardell Bicentennial Hall on the Middlebury College campus.